Still life rose its gorgeous head in 17th century Dutch paintings of delectable rotting fruit; sumptuous arrangements of flowers; gleaming tipped glasses, and half-eaten meals. 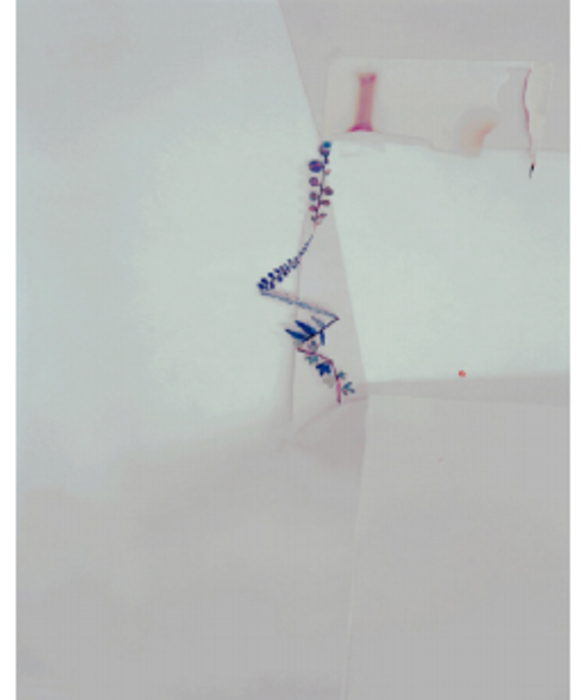 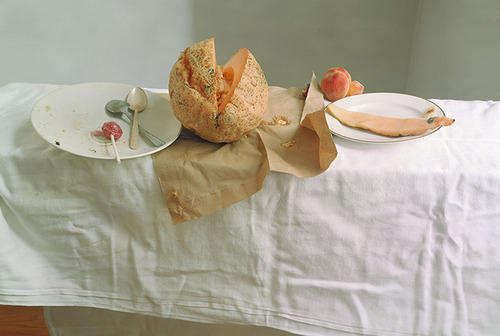 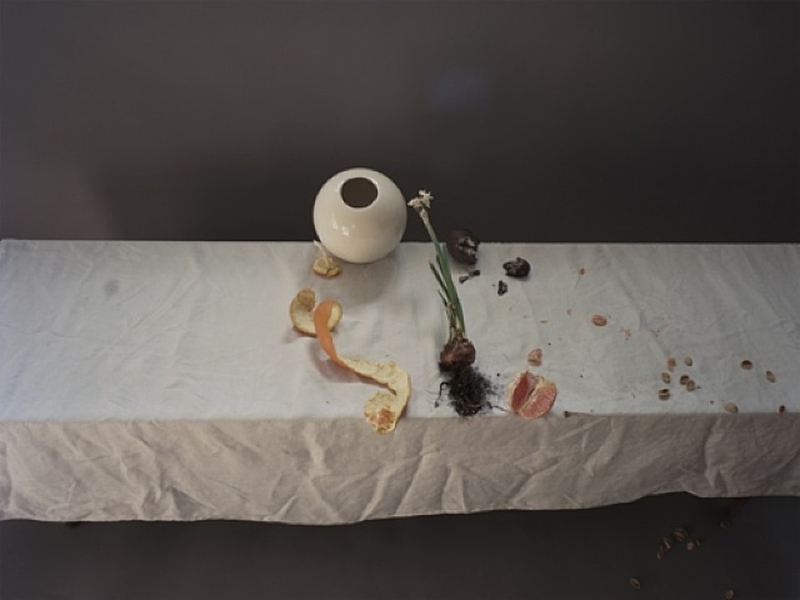 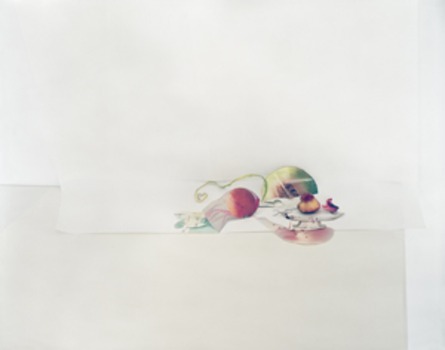 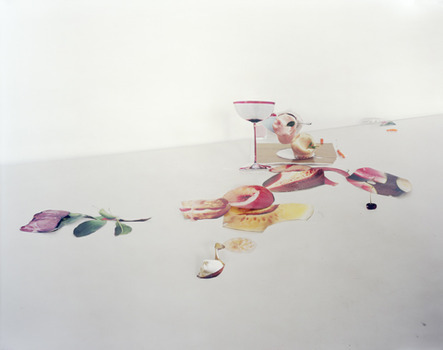 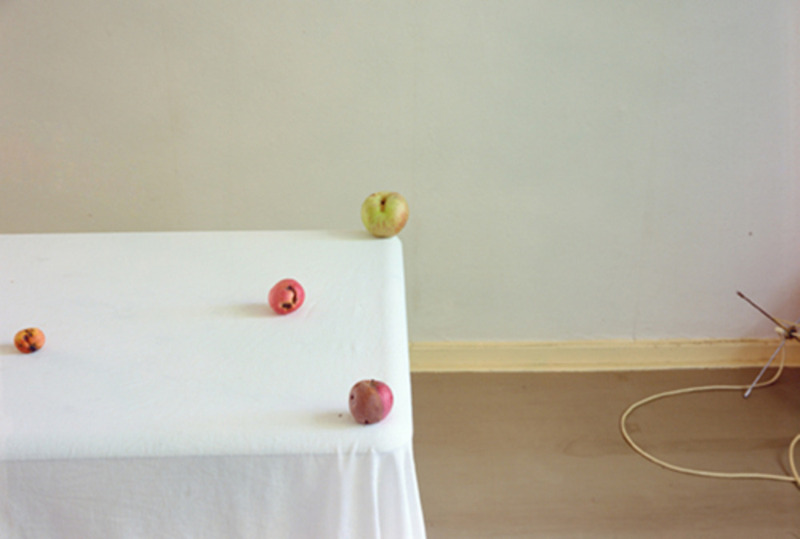 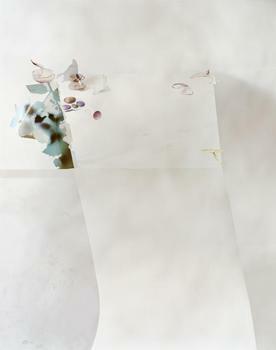 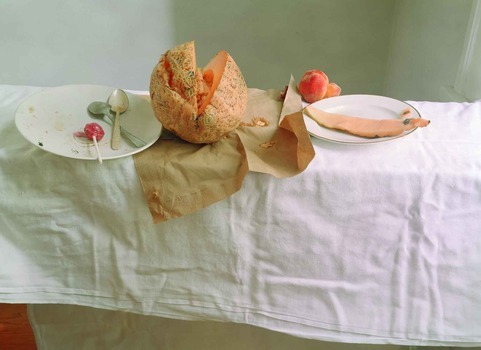 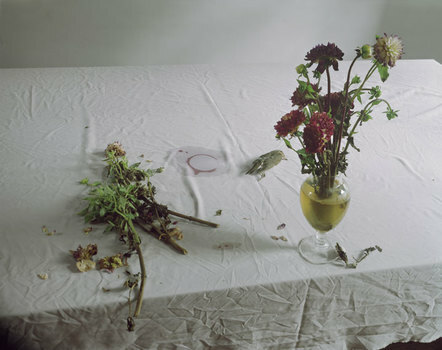 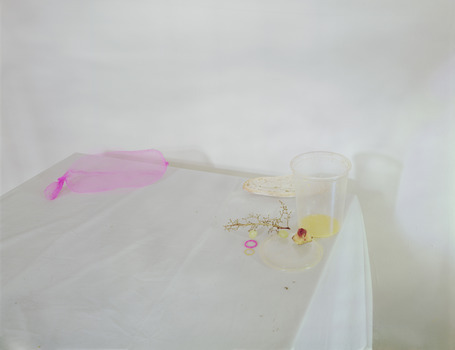 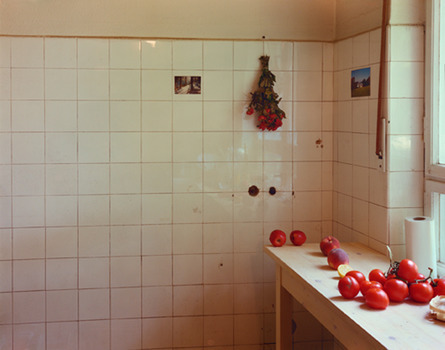 In 1997, Letinsky began to photograph still life tableaus she set up in her Chicago studio. 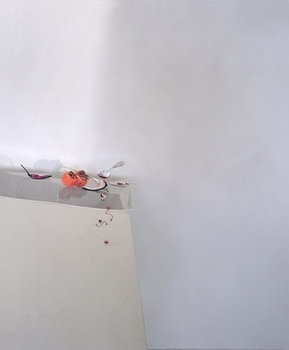 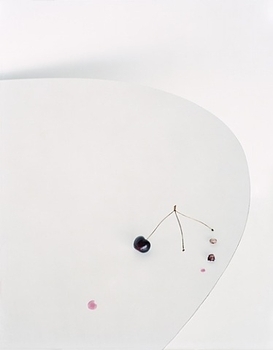 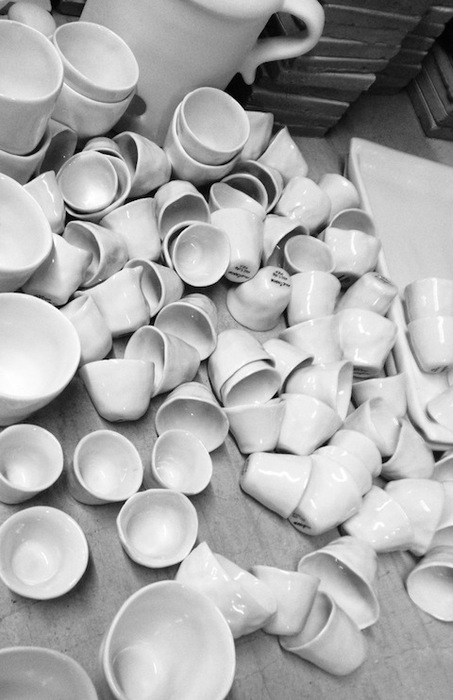 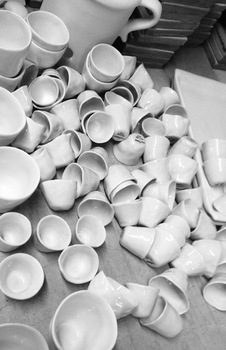 Her minimal photographs, on the other hand, were of "paper plates, plastic cups, tin cans, and bottle tops disposed on white surfaces in white rooms. 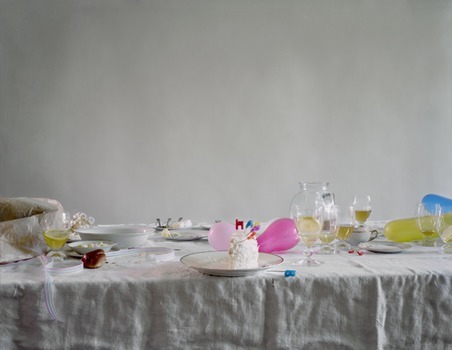 Instead of images of overabundance, she presents the more modest remains of a snack or a drink or a child's birthday party. 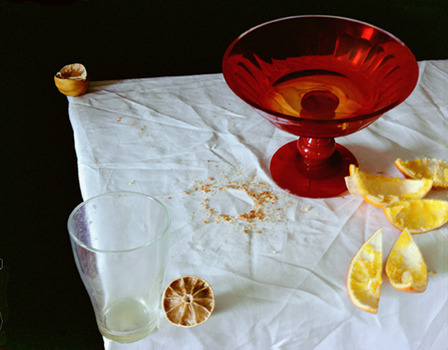 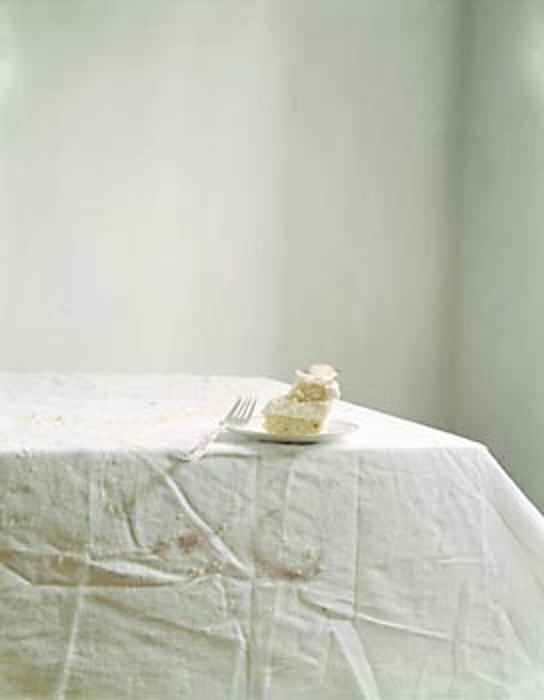 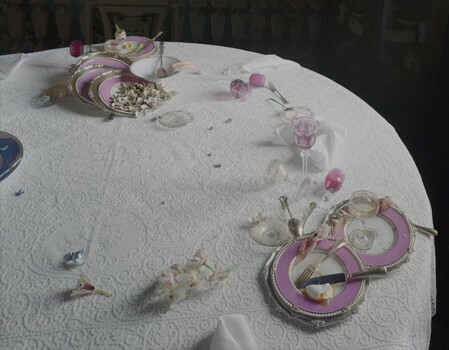 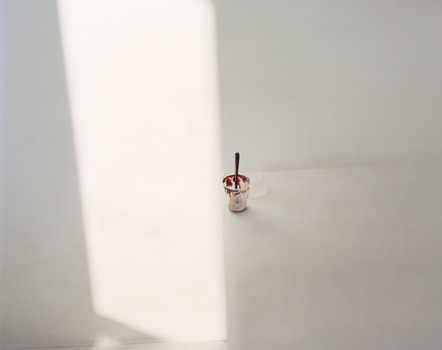 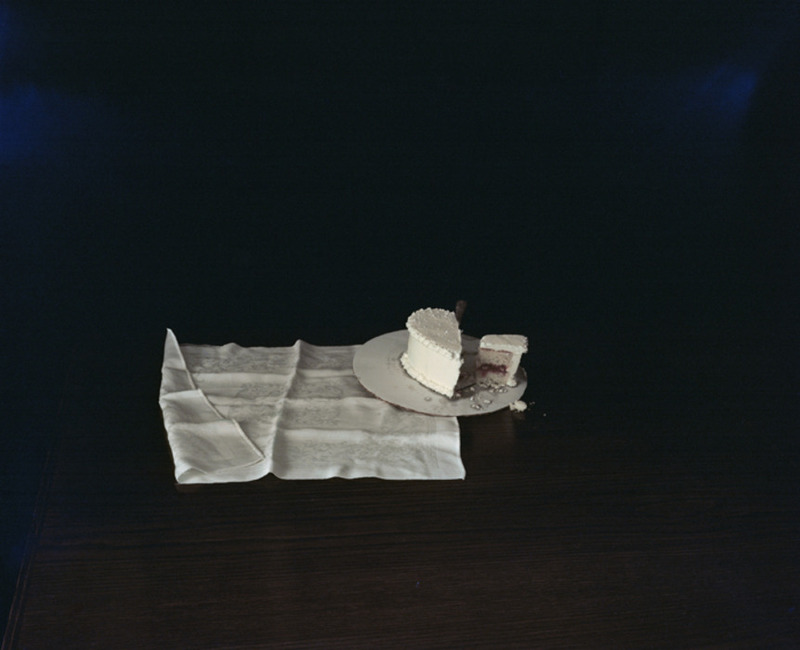 But Ms. Letinsky's photographs are less concerned with the symbolic implications of leftovers than they are with the evocative power of light. 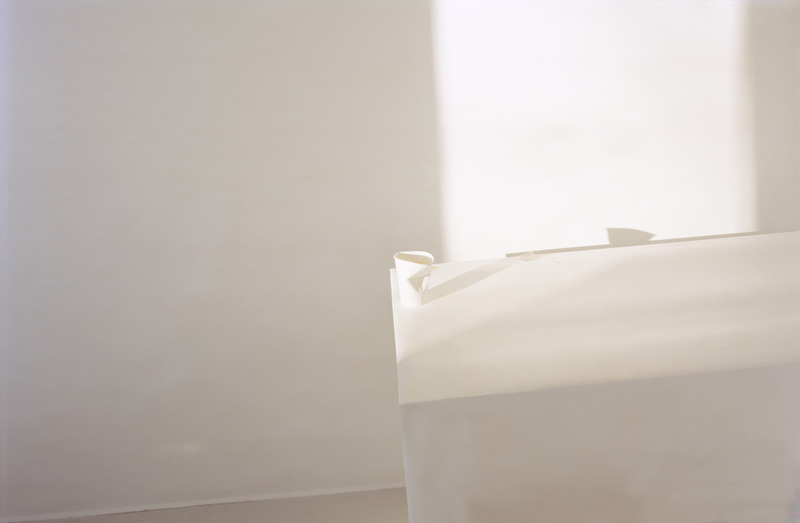 The transformation of edges and surfaces of table, wall, and room into shifting zones of off-whites and warm to cool gray creates interiors that are at once understated and luminous," according to poet and leading critic Mark Strand. 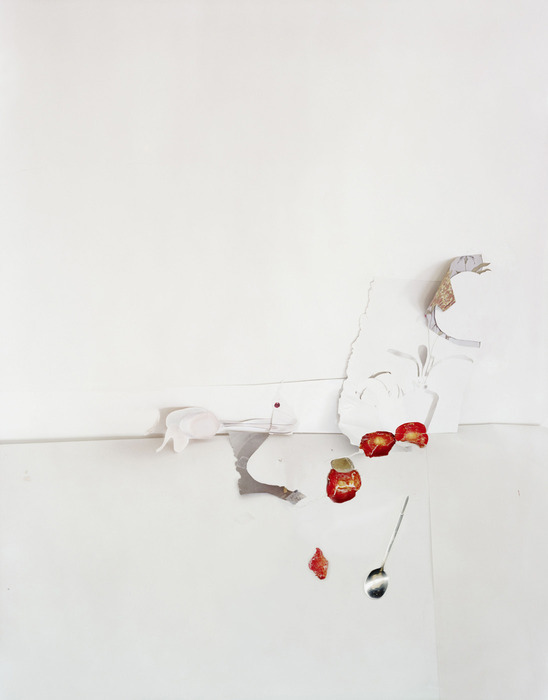 "The artist received her BA from the University of Manitoba and her MFA from Yale. Today she teaches at the University of Chicago. 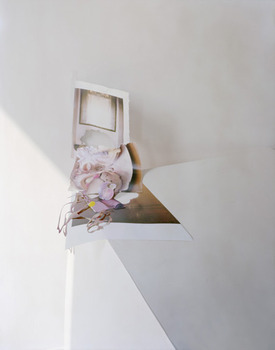 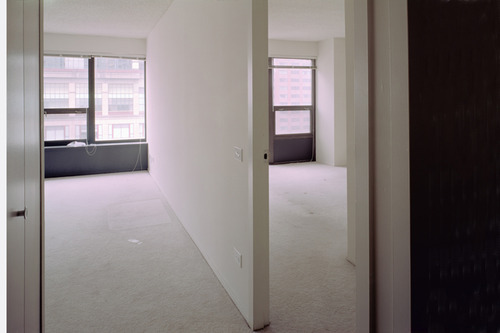 Her work has been shown and collected by such institutions as the Canadian Museum of Contemporary Photography in Ottawa, New York's Museum of Modern Art, Casino Luxembourg, the Nederlands Foto Institute, both Chicago's Art Institute and Museum of Contemporary Art, Houston's Museum of Fine arts, and the San Francisco Museum of Modern Art."